Well it doesn't get any easier than that does it? 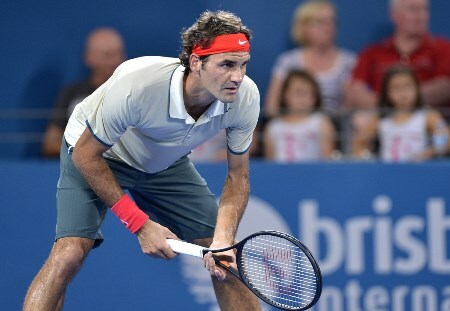 6-1 6-1 in just 57 minutes as Roger made serene progress into the semi finals where he'll face Frenchman Jeremy Chardy. I perhaps gave Matosevic too much credit in my pre match prediction of 6-4 6-2 as he completely failed to turn up today and was simply outclassed. Whether it was the occasion, injury or the fact he wasted 3 break point chances in the first game his game was nowhere to be found and it was very easy for Roger to just exploit his error strewn performance and negative body language. As for Federer he looked sharp and focused yet again, most areas of his game clicked and he was just too solid for the Australian in all departments. So far so good in terms of 2014 and it's looking like his work in the off season is paying off; I'll keep my feet on the ground though as this is a relatively weak fielded 250 event so in all honesty he should be winning it. This is going to be very brief because aside from one or two points and a sweet forehand fake dropshot slice nothing really happened. Roger was in trouble in his first service game at 0-40 after Matosevic slapped in some good returns but he failed to capitalise as Roger reeled off the next 3 points before holding serve. The chances that went begging seemed to effect Matosevic as some sloppy play including a double fault saw him drop his own serve and put Roger firmly in the driving seat. One break soon became two and Roger served it out comfortably to take the first set 6-1. Routine really and he barely broke a sweat. If you thought the second set was going to be more competitive you were wrong as Matosevic faded badly, dropping serve tamely, grimacing, getting the trainer out and just generally giving up. This time he was broken 3 times in the set again handing Roger the breadstick for a 6-1 6-1 victory. Easy peasy. I'll start with Fed who I thought played another solid match, he's looking sharp in all areas and I think the doubles matches have helped tune him up. Like I said above this was a little bit one sided to really judge too much as he'd have won with his eyes shut but all the signs are so far positive. He's said in interviews now his back is injury free it becomes more about forehands and backhands and most of his shots from the last 2 matches look like they are hit with conviction. There's still the odd shank but a new racquet was never going to eradicate them, he plays a pretty high risk type of game so as long as he can keep the winners count in front of the unforced errors all is good. Now onto Matosevic, having hardly seen him play, the only time being last year in Monte Carlo where he beat Fiasco and kicked Dull's water bottles over I wasn't exactly sure how he played. After watching I was disappointed, not by anything technique wise just his whole body language and attitude on court. Looks like a big drama queen, always gesticulating to himself or his corner, grimacing as though he had been shot and just generally showing zero fight, by the end of the second set he'd stopped running completely which wasn't a good example. He won't be progressing much further up the rankings like that and it's pretty clear he also won't be mentally good enough to challenge the top guys, he had his 3 break point chances early but wasted them. Fair enough if he had a shoulder injury which he had a trainer on court for but it was all a bit over the top really. By the end of things (less than 1 hour on court) he looked dead on his feet , whether that was just acting or serious I'm not sure. He does look over conditioned for a tennis player though with too much muscle so that won't help his endurance. Next up is Jeremy Chardy who seems to enjoy the plexicushion courts as he performed well at last years Australian Open making the Quarter Finals. He has a big forehand that's quite expansive on the take back but other than that I see no real weapons from him. Serve is good enough and backhand just average. Can that get it done vs. Roger? I doubt it. Like Matosevic he's a bit of an unknown for Fed as they've never played each other in singles so it will of course be interesting to see how they match up. From what I've seen of Chardy he doesn't really bring too many surprises to the table so once Roger gets some kind of read on the serve I think he will break fairly comfortably. Federer also has the benefit of playing against him in the doubles the other day so will surely have an idea of what his serve will feel like plus any of his strengths and weaknesses. I'll pick Fed in 2 again, 6-4 6-2. Allez! P.S. Just realised I forget the ratings system on my last post and this one, slipped my mind. Get voting. Looking sharp and moving well so far. Taking his chances too. Anyway Fed looks good and he is winning. Allez! That was the first Federer match in months where I could watch without ever thinking he could lose. There were a few more tense moments in the Nieminen match but this was just smooth sailing. Too easy almost. Matso was poor. Ok, so I downloaded adblock plus and now I can’t stream anything. Any ideas? Hey Sue, that is why I am trying this only after Sunday…. 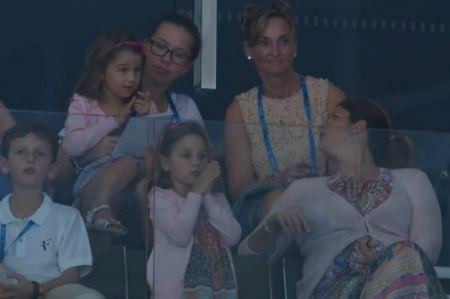 after Roger’s matches…..
Yeah, wish I’d done the same. But those popups are horrible. I’ll try and uninstall but my computer skills leave a lot to be desired. Not sure I don’t use it, maybe Simon has the answer. No hick-ups, no drama, so far in the new season my heart rate has been pretty normal, even today 0-40 down in the first game! Good to see Fed playing solid, moving well, serving well. 🙂 You summed up my thoughts of the match too, Jonathan. Disappointing attitude from Matosevic especially in front of home spectators. Couldn’t feel any charm, sorry to say. Anyway Fed is looking promising, double wins tomorrow? Allez. 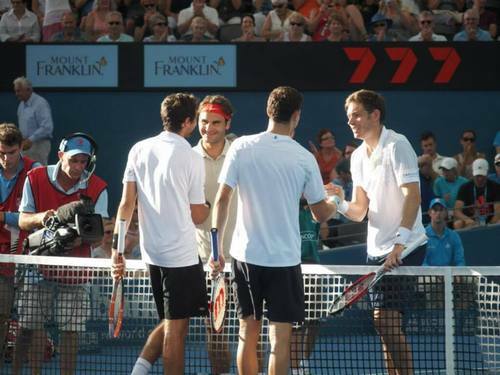 Thanks to Brisbane, I enjoyed doubles full match replay. That ridiculous shot (don’t know how it’s called back spin sky hook?) has now nearly 900,000 YouTube views for just one day! I can’t even view that video, because it’s blocked in Australia for some reason! A tournament in Australia, blocks citizens from viewing their videos! Hey Wanda, it was so special, even Bleacher Report made an article about the shot !!! I love Roger’s reaction afterwords like it was nothing, like he does that everytime. But Mahut’s reaction is the best. Haha Katyani, but Bleacher Report, yak, don’t even think about it! It was a fluke though, some people are saying it was a great shot. IMO that kinda dis respects some of the other shots he has played that weren’t just a one in a million chance. Hey guys, later today Doha final between Rafa and Monfils (who hits so many aces or first serves……..). Would that not be special? Rafa not winning his 250 tour and Roger winning his 250 tour singles and doubles?? Ps: I think he will face Nishikori in the final…. Monfils record in finals is poor though. Wonder if he can handle it, hope so. Hey guys, I have 2 questions that are bugging me. Maybe someone can answer them…. 1) Some players are now playing the Hopman Cup. But why would they do that? Are they obligated? By lets say the tennis federation of their country? I mean they don’t get points right. So why not play one of the 250 tours (Doha, Brisbane, etc) where you atleast get points??? 2) Andy has won Brisbane two years in a row. Why not play Brisbane? Why go for Doha?? Hey Wanda, I have been waiting since two hours for this match !!! Still, strange right, I mean eventhough it is 250 points, still you get those points. So why not play a tour? But I do understand that DC thing you say. And Andy… well, he does not seem someone who really goes for the money, but I get why he went there. Mmm not sure about yr score prediction v Chardy given his serve, fast surface and liking for plexi! Always going to produce a TB!! Still he came thru after a poor TB! And a mental blip from JC! Has to take Hewitt but don’t underestimate the Aussie on home turf! Difference will be the serve and the mental fragility which can affect Hewitt! No offence Susie but I am going to have to disagree with you on this. Federer served over 20 aces and mostly dominated the match. His serve is completely firing which is the most important part of his game. Even if he makes the odd few groundstroke errors his serve is good enough to bring him out of trouble. To be honest I thought he played even better today, because Chardy is a much better opponent than Nieminen or Matosevic. Because Hewitt can be a little unpredictable and is very good in front of his home crowd, I say the final is really close, both playing incredibly well, something like 6-4 6-7(5) 7-6(8) to Federer. Not because I think he will play badly, but because Hewitt is just so good in front of the home crowd. We have to remember that against quality opponents it is not going to always be possible to win in straight sets, and we may have to see a few scenarios similiar to 2012 Wimbledon vs Bennetteau and 2013 World Tour Finals RR vs Del Potro, where he just has to tough out a match from a set down. Pity about the dubs but given tight first set think it was more about saving energy for the final! If Fed continues to serve as he is he will beat Hewitt in 2 sets!